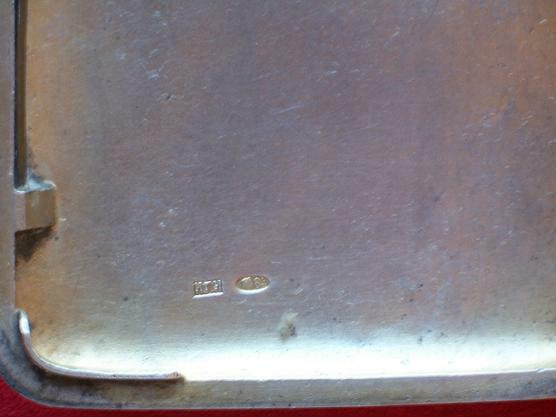 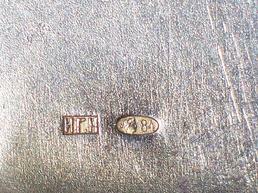 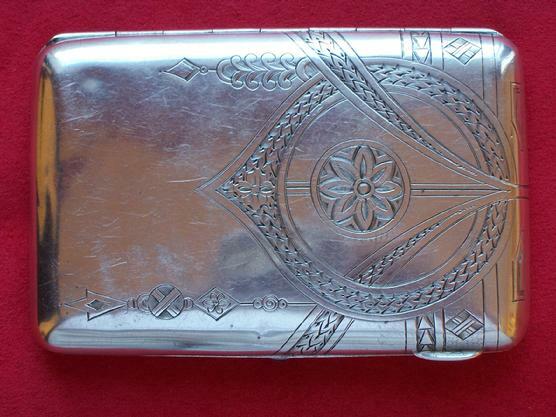 This is a wonderful old Russian Silver Cigarette case. 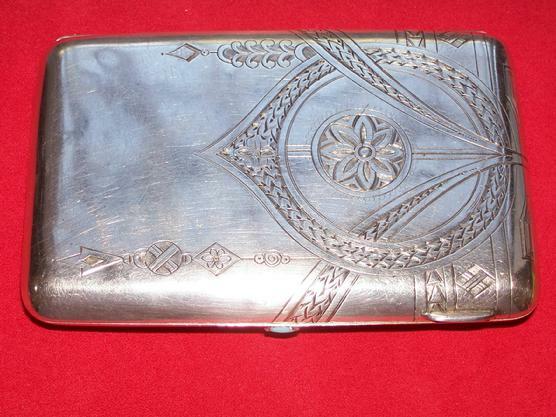 It is very heavy and well made, weigh over 6 ounces. 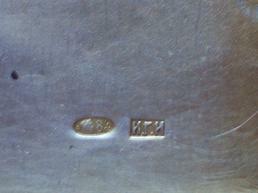 standard of the period, womans head facing right, 1908 - 1917,town marks 84 Kostroma,and 3 Cyrillic initials which translate to "IGI" silversmith's hallmark. 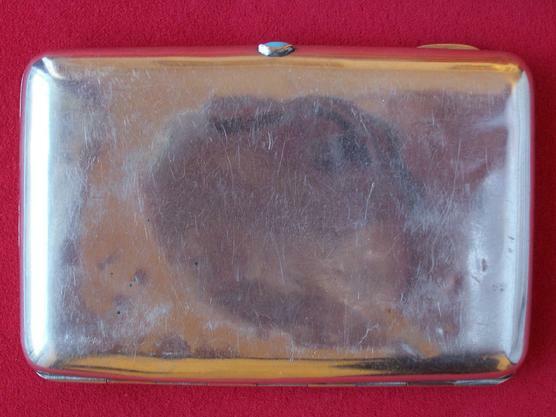 The case is 4 3/4" long and 3 1/4" wide. 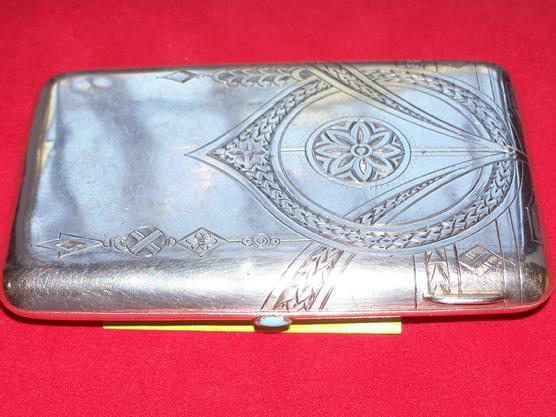 It has a small turquois in the catch release and the box closes evenly and tightly.